There’s something enchanting about watching kids bring to life worlds they see in their imaginations. If my son had his way, dragons would toast marshmallows and deliver them to pods of humpback whales, and sharks would live in houses made of Duplo. There’s an art to creating toys that encourage imaginative play but let kids take the lead, and it’s rare to find a range of toys that does it well. 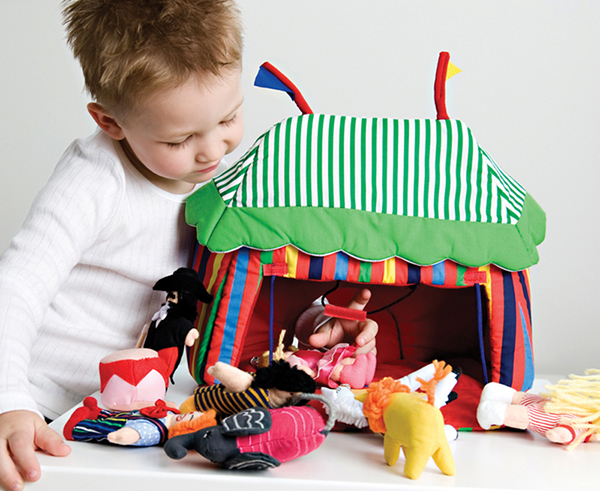 Oskar&ellen, a Swedish toy maker, has done an incredible job of capturing the magic of imaginary play with its beautifully made collection of soft toy sets. Designed in Sweden and handmade in the Philippines, the Oskar&ellen collection includes colourful toy bags, dress-up clothes and miniature toy sets. 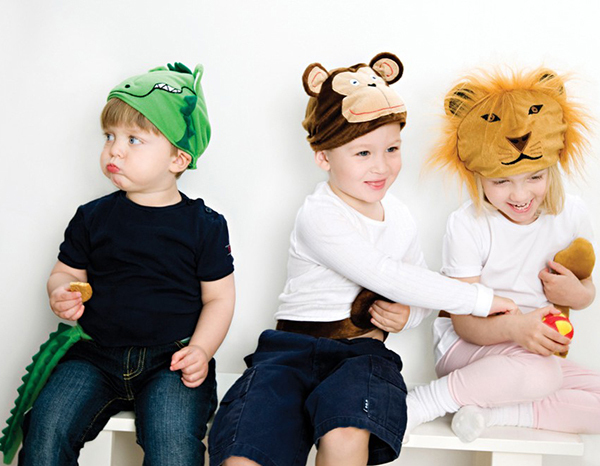 We adore sets like the Wild Animal Park or the Circus. Each set comes with amazingly detailed little characters, and a stable or circus tent that closes up to store all the pieces when it’s time to pack away. There’s also a brilliant miniature pirate ship, character sets from fables like Goldilocks or The Three Little Pigs and lots of animal dress-up costumes. Oskar&ellen toys are fair trade, so you know you’re supporting sewing studios in Manila that pay workers fair wages and provide job security and a stable income for workers and their families. Because each piece is handmade, the toys are all a little different, and as far from a generic factory assembly line as you can get. You can find oskar & ellen toys in Australia at Bees Knees Imports.